According to the theory of evolution, from generation to generation organisms become better adapted to their environment. Those less adapted are eliminated leaving behind the better adapted. The threat to the individual may be biological, e.g. fox eats rabbit, or physical. From the medical point of view, environmental threat is a noxa that triggers in the organism a strategy to evade it or to repair its damage. The noxa may be biological, e.g. worm eats man, or physical. The different strategies assisting the organism in its fight for survival evolved throughout the ages and from generation to generation became more efficient. According to Darwin theory, today's organisms are equipped with the best strategies to deal with noxae, otherwise they would not have survived. The interaction between noxa and strategy is manifested as disease. Some phenomena observed in a disease are contributed by noxa, the rest are strategies mobilized by the organism. Generally it is difficult to distinguish between the two opponents, and only seldom they are clearly separable. Like the noxa fracturing a femur during a car accident, that is easily distinguished from the bone repairing strategy that operates thereafter. Or, inflammation is sometime easily distinguished from the invading organism that triggered it. But how to interpret arteriosclerosis? Since the healthy organism is not arteriosclerotic, arteriosclerosis has to be triggered by a noxa. How to distinguish in arterioscelrosis between phenomena contributed by a noxa, and its opposing strategies? Even if it is impossible, according to Darwin theory we are assured that any strategy in arteriosclerosis is indeed most suited to deal with its noxa otherwise the organism would have been replaced by a fitter one. When examining a patient we ought therefore to start separating between noxae and strategies, and only then treat him. In the past, strategies were regarded as "nature's healing force", or vis medicatrix naturae, and the main task of medicine was to assist the healing force in its fight against noxae. Thus even if it is difficult to distinguish in arteriosclerosis between noxa and strategy, the physician has to search for its advantage to the patient, and ask: "Is arteriosclerosis a life prolonging, adaptive process?" (1,2). Arteriosclerosis may appear as a degenerative process, and with age, its manifestations become more and more abundant. 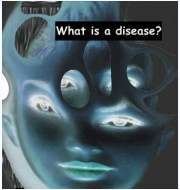 Yet according to evolutionary theory a disease cannot be entire harmful, and has to convey some benefit. Even aging has its evolutionary advantage (3). By the same token, although cancer appears as if entirely harmful, it has to convey some adaptive advantage to the organism otherwise it would have been eliminated from the community in previous generations. The disease cancer is an interaction between noxa, or carcinogen, and yet unknown life saving strategy that could be embodied, at least in part, by neoplasia. And since neoplasia evolved in a Darwinian fashion we ought to investigate its advantage to the patient. 1 Kaunitz H. Is arteriosclerosis a life prolonging, adaptive process? Mech. Aging and Development 57,139,1991. 2 Kaunitz H. Adaptive changes in aging and arteriosclerosis-role of cholesterol. Mech. Aging and Development 43,35,1988. 3 Sacher G.A. Evolutionary theory in gerontology. Persp. in Biol. and Med. 25,3,1982.